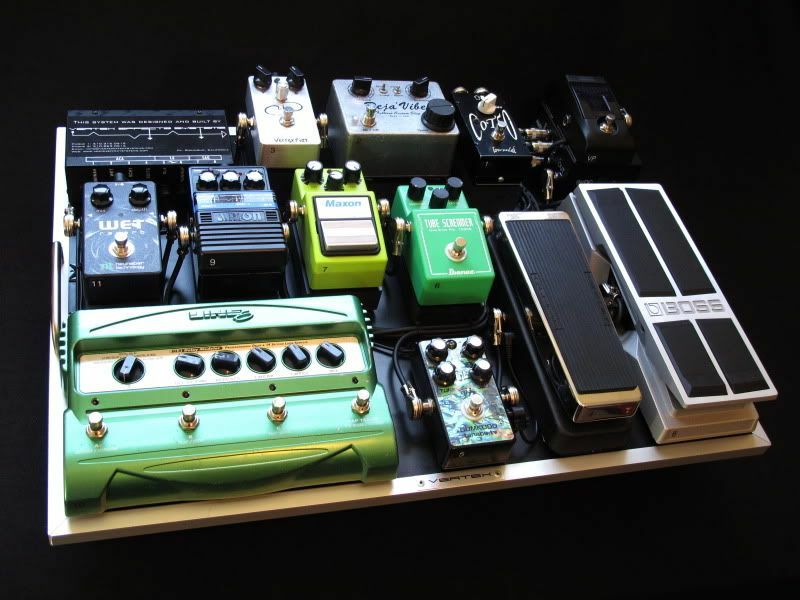 Here is a pedalboard that I did for pro guitarist Eddie Martinez. Eddie is one of the greats! He's toured and done sessions with everyone from David Lee Roth, Robert Palmer, Run DMC, etc. and still does a lot of amazing work up in Portland, OR. 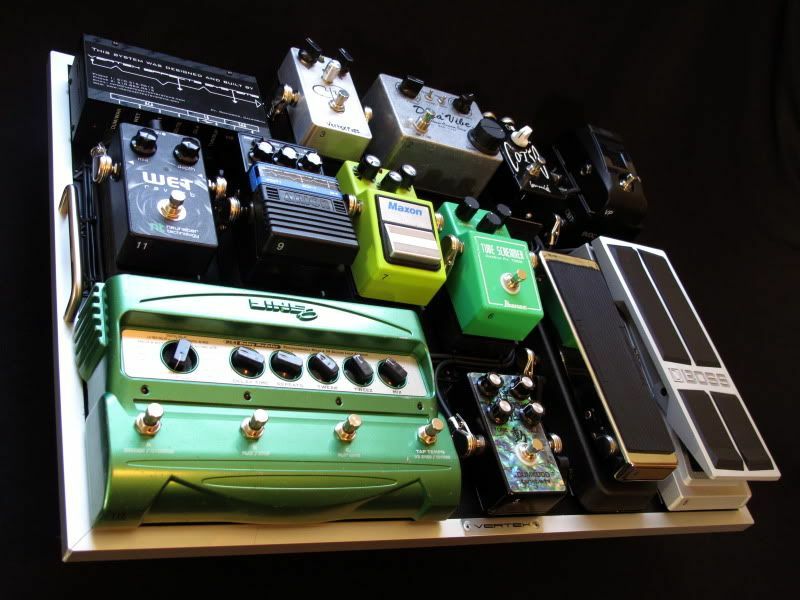 Eddie was looking for a rig that would give him a lot of flexibility to patch in pedals off the pedalboard by using strategically placed inserts between his distortion and modulation pedals. 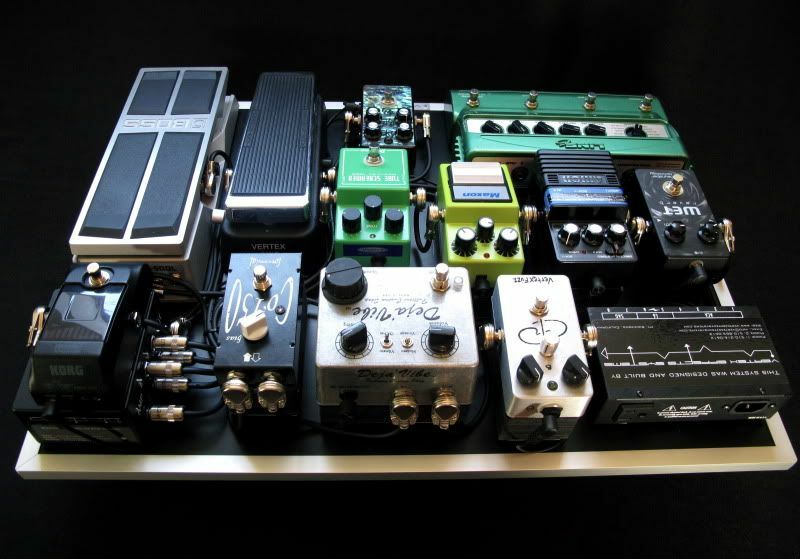 This way he could add pedals off of the pedalboard that could be used for any number of purposes (other overdrives, modulation, or time-based pedals). Everything is running in front of Suhr Badger or CAA OD100 with Suhr guitars or a 1970 Les Paul Custom. 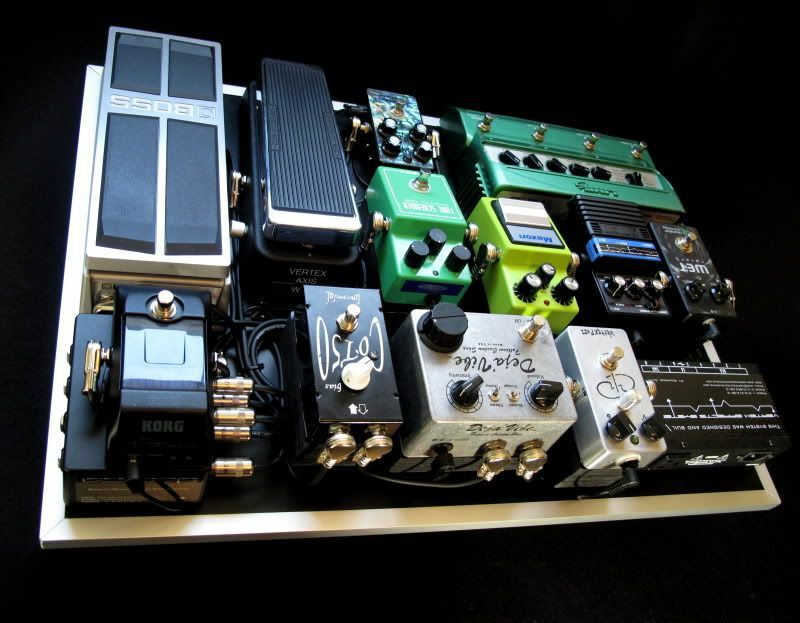 The rig is very cool with an extremely organic vibe to it, plus it has a lot of my favorite pedals on it (COT50, Prototype Deja Vibe, Dumkudo, Vertex BC109 Fuzz, Vertex Axis Wah, Vertex modded SCH-1, WET Reverb). I don't want to send this thing back . 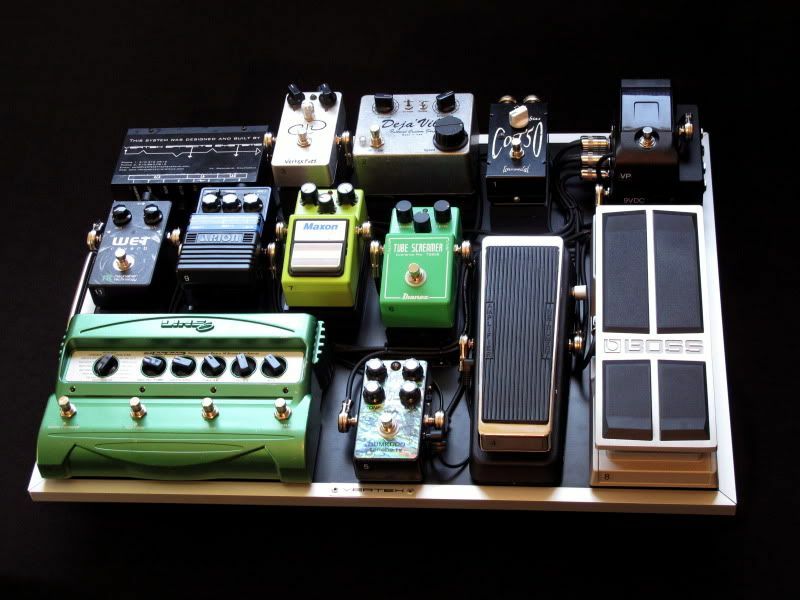 Passive input for fuzz, patchable buffer, insert "break-out" point between distortion and modulation pedals for additional effects to be wired off the pedalboard, mono out to amplifier.